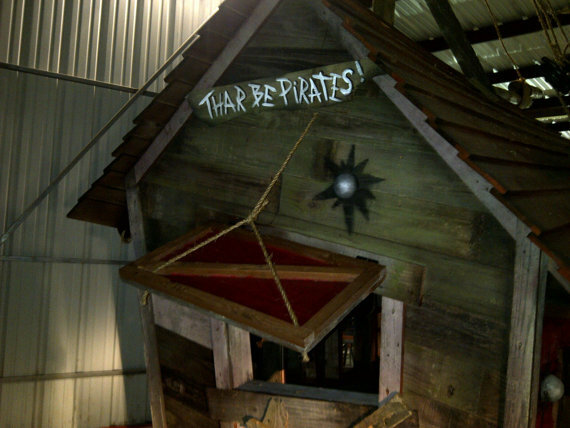 New Pirate Playhouse has a 4ft x 8ft footprint treated base, 7 1/2 ft. Ceiling. 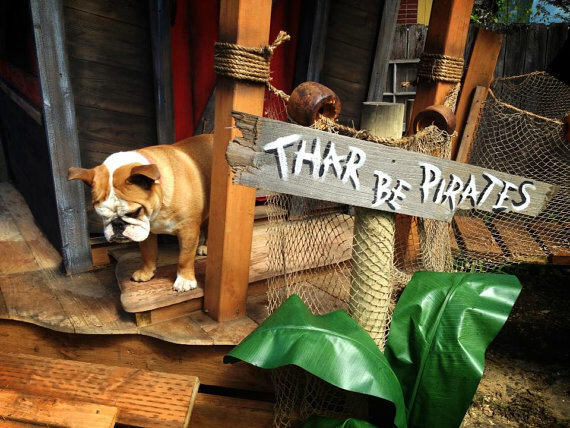 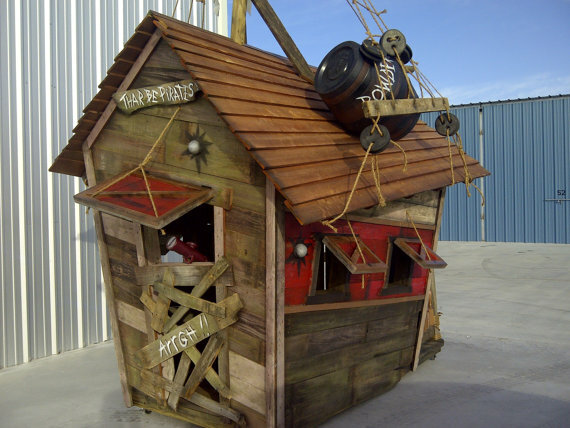 Vintage treated siding with custom paint for pirate theme. 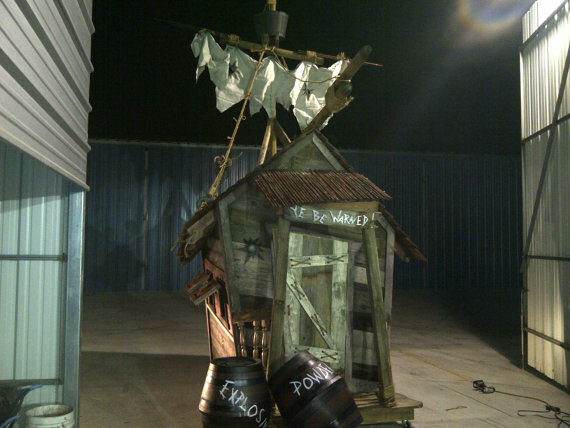 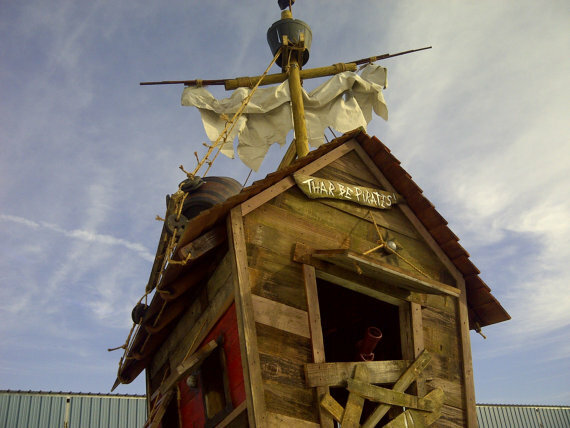 Wacky shape, mast pole reaching 15ft, crows nest, sail, rope rigging, cannon port holes and additional themed pirate props. 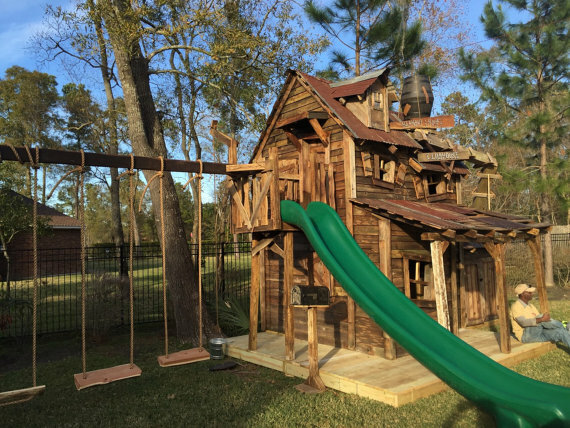 Options such as swings, slides and monkey bars can be added for low additional cost. 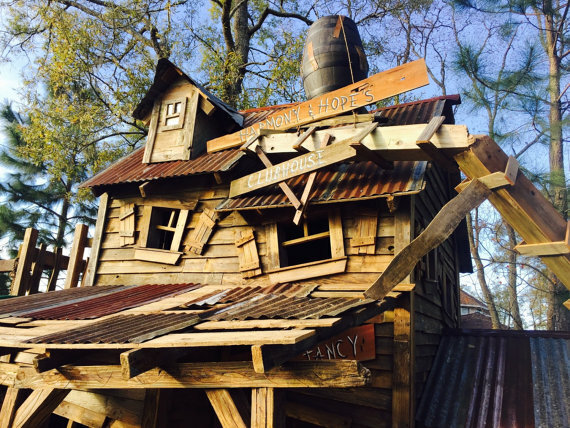 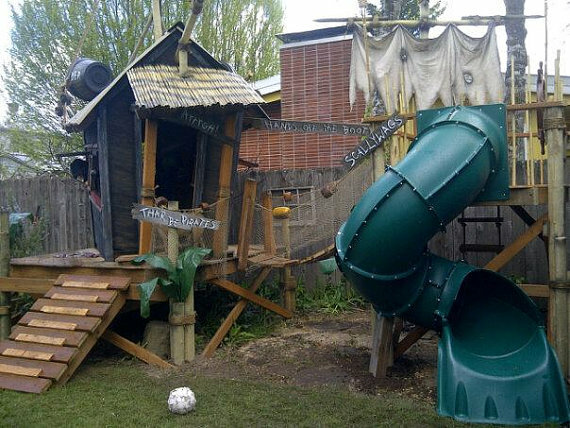 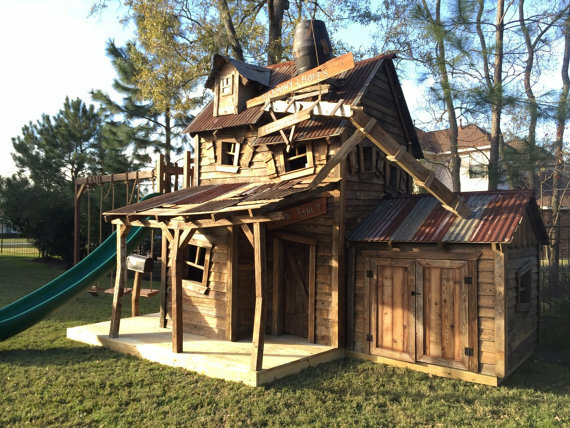 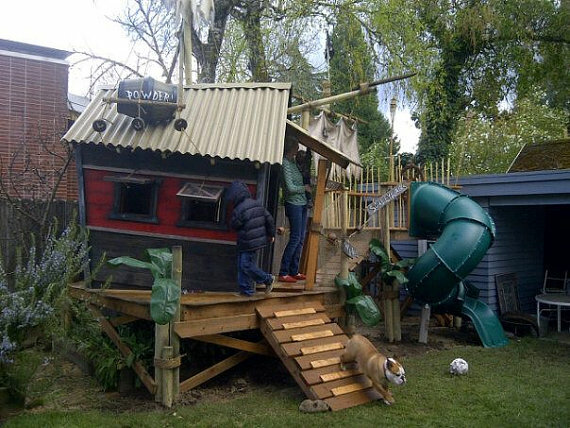 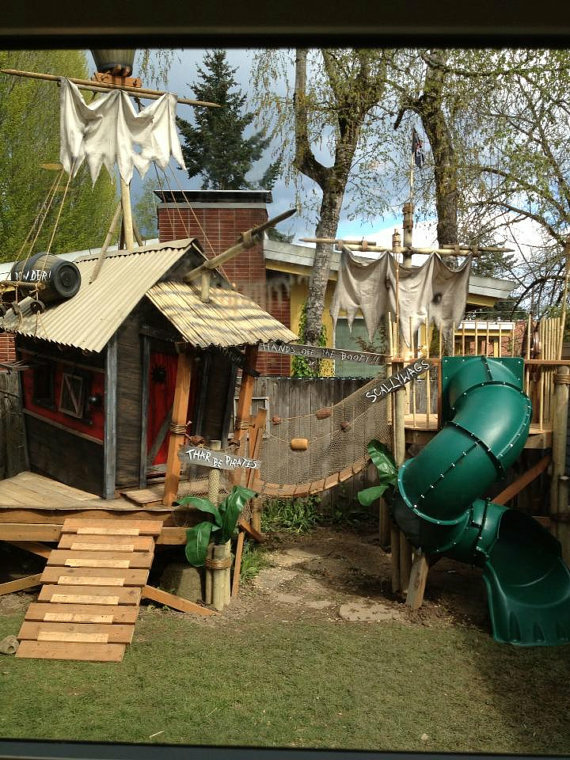 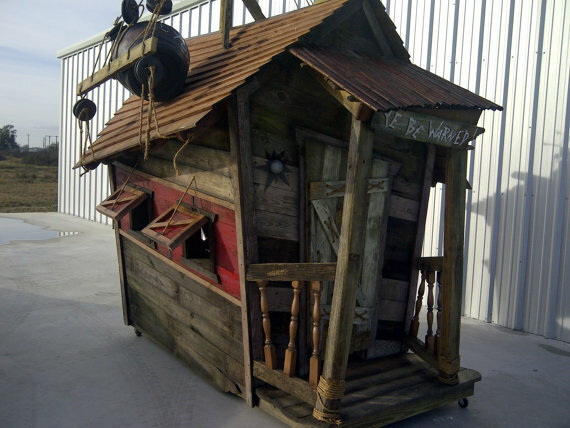 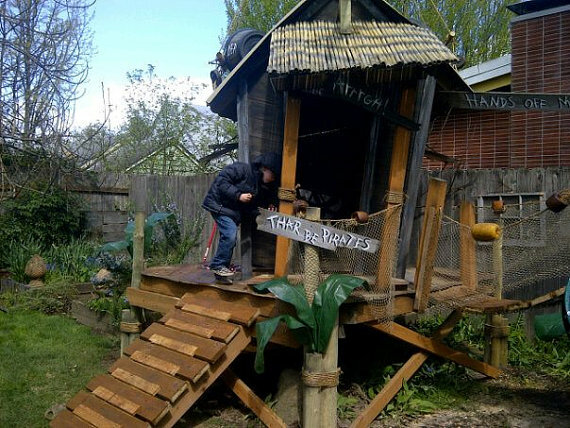 Pirate Playhouse with slide and tower.